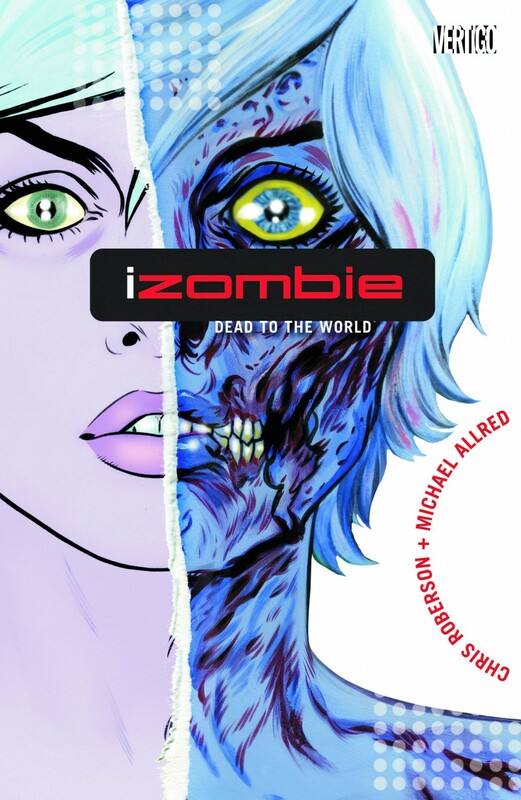 Collects IZOMBIE #1-5. and a story from the HOUSE OF MYSTERY HALLOWEEN ANNUAL #1. Gwendolyn “Gwen” Dylan is a 20-something gravedigger in an eco-friendly cemetery. Once a month she must eat a human brain to keep from losing her own memories, but in the process she becomes consumed with the thoughts and personality of the dead person - until she eats her next brain. Gwen sets out to fulfill the dead person’s last request, solve a crime or right a wrong. Our zombie girl detective is joined by her best friend, Eleanor, who happens to be a swinging ‘60s ghost, a posse of paintball-blasting vampires, a smitten were-dog and a hot but demented mummy.